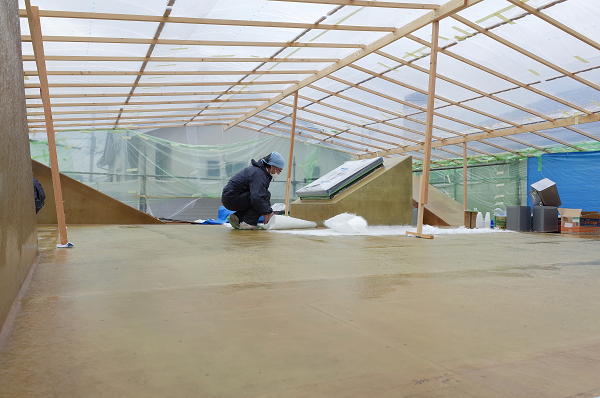 Gradually the top-coat is being applied and the roof is nearing completion. 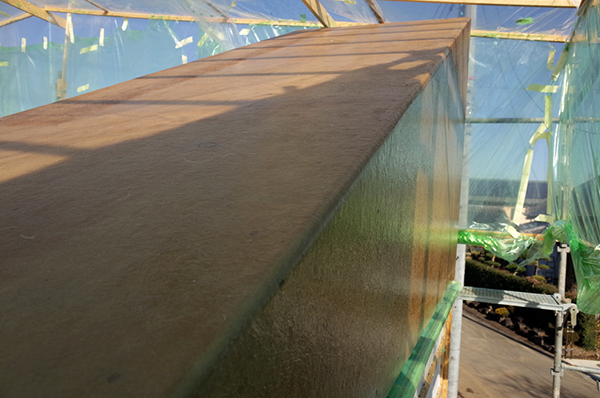 The FRP is applied in several layers and is almost finished except for the top-coat. 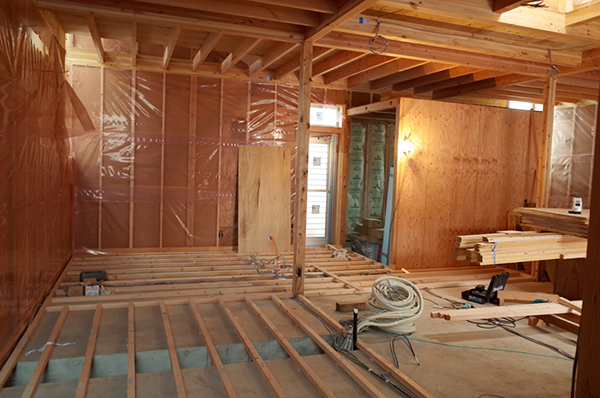 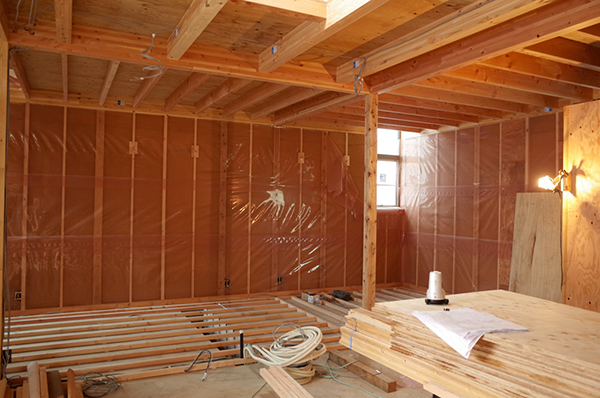 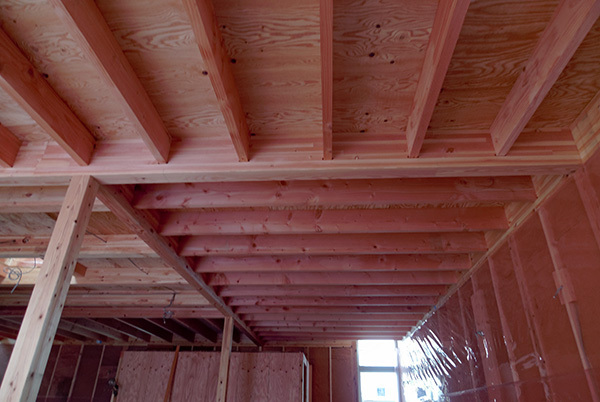 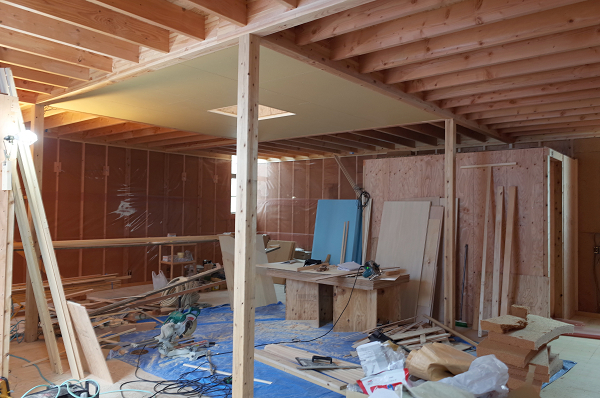 Inside the insulation for the floor has been installed and work on the boarding is in progress. 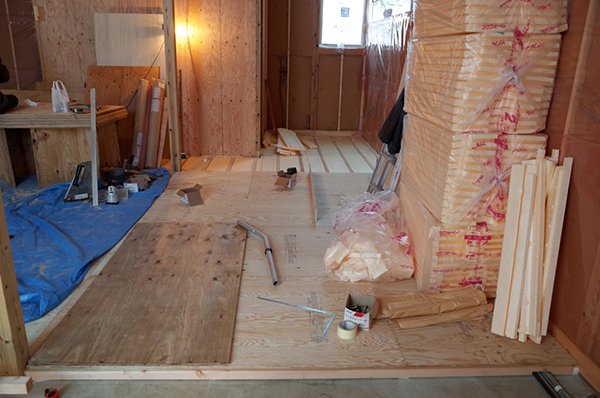 No obvious big changes but gradual progress progress is made. 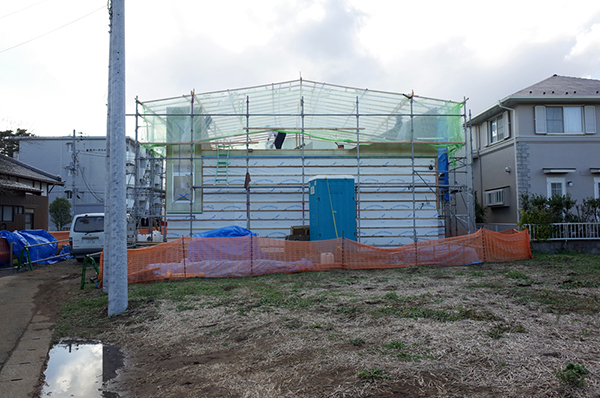 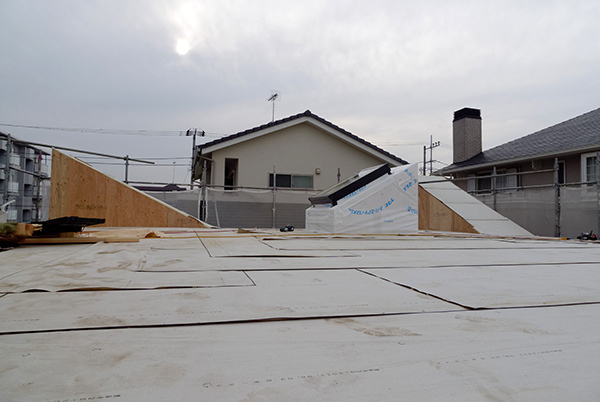 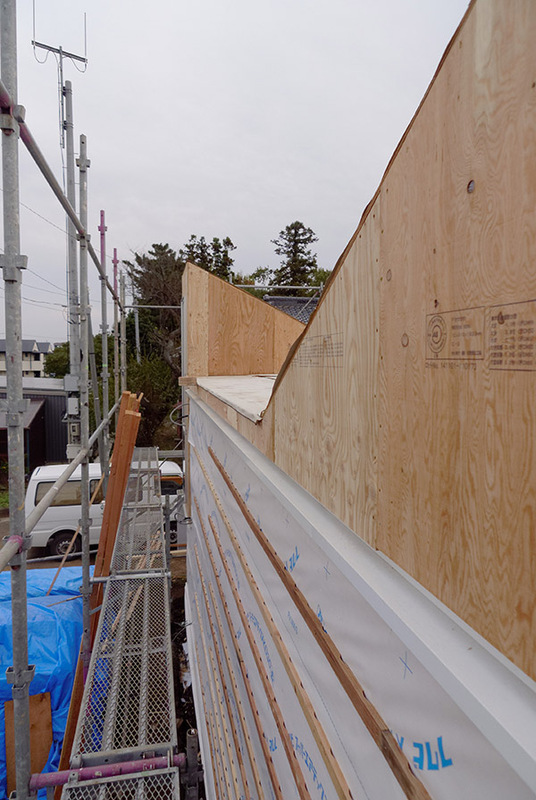 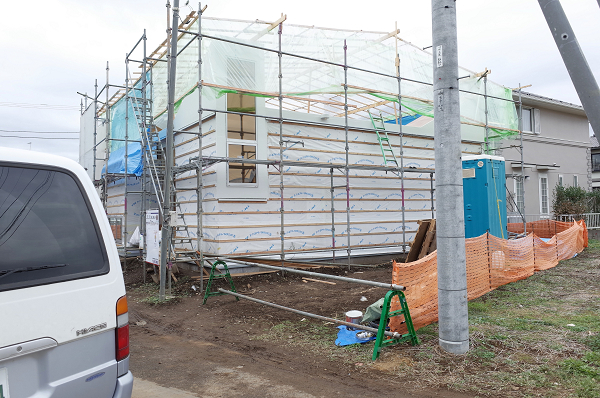 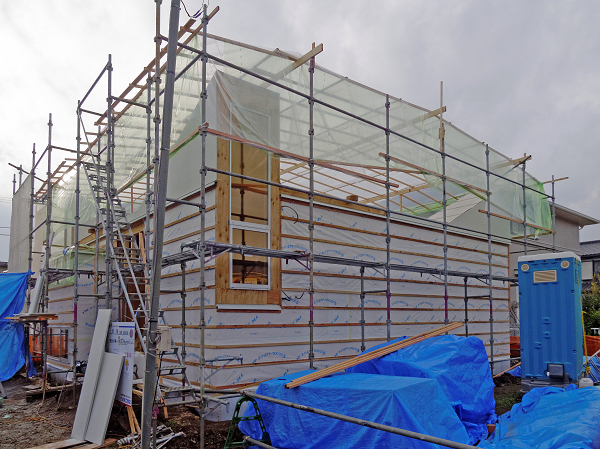 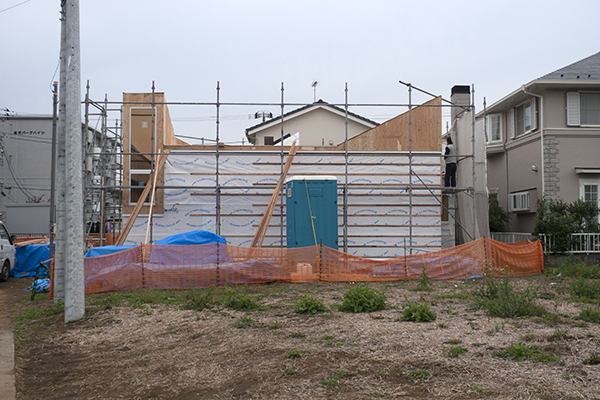 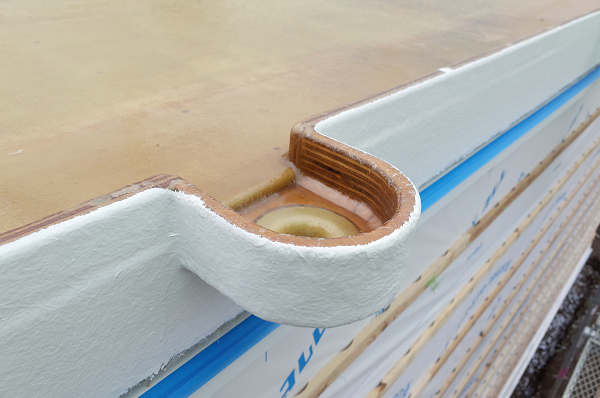 The roof will be finished in Fiber Reinforced Plastic, a type of water barrier often used in Japan for balconies. 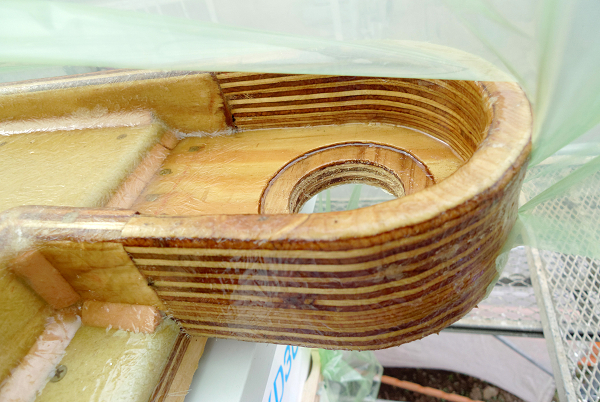 But also to make bath tubs and yachts. 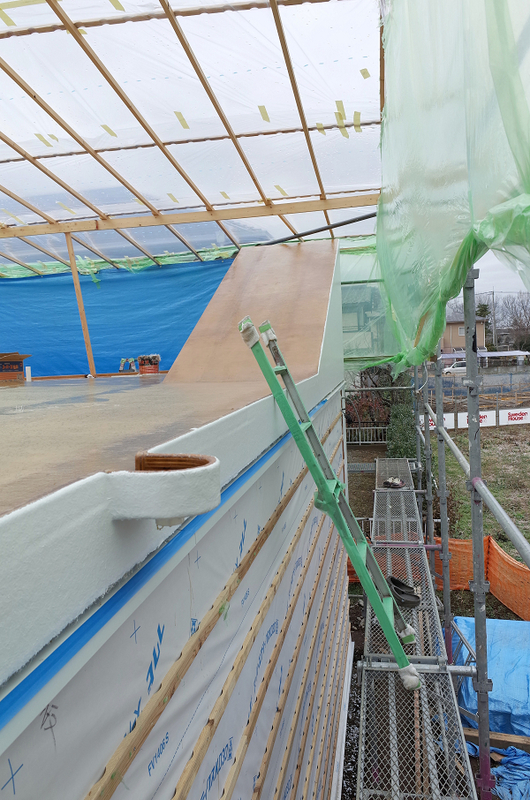 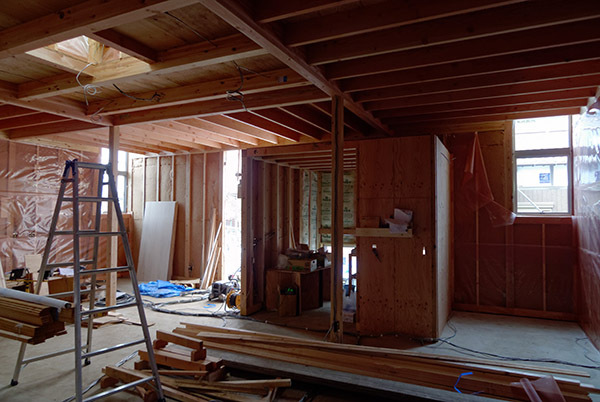 To satisfy the level of fire protectiveness required the substrate is to be in two layers of gypsum board and the top-coat also needs to be fire resistant. 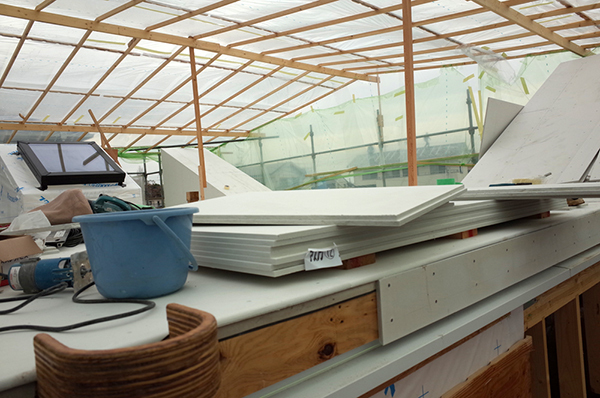 At this stage the substrate gypsum board is being installed. 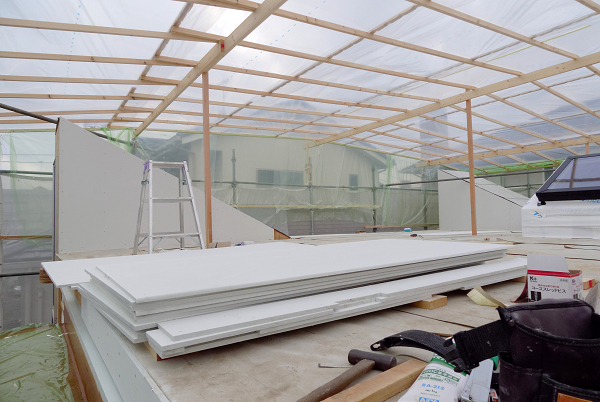 Because of expected rainy weather the carpenter has made this light weight temporary cover to protect the materials against moist. 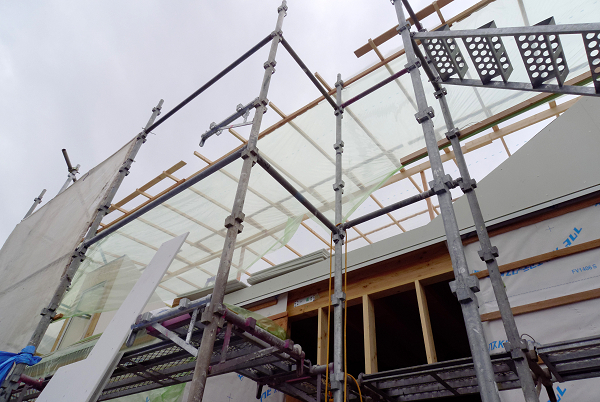 Actually this “glass house” like roof space landscaped with the four triangles of the high side light, is quite beautiful. 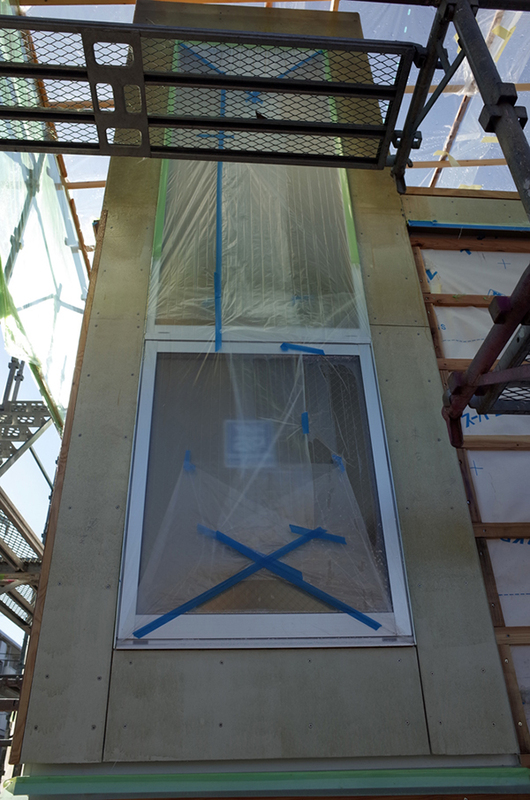 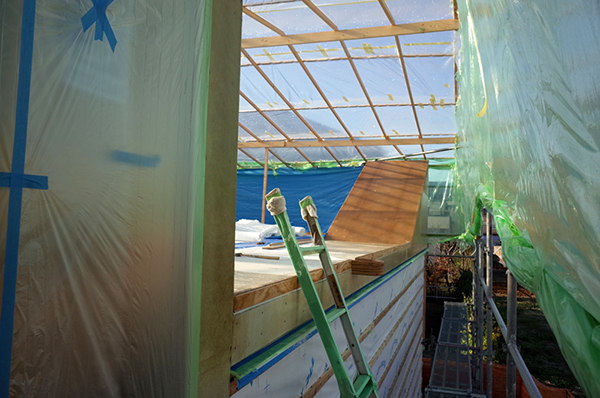 Further progress made on instaling the vapour barrier on the exterior and the slats for the ventilated cavity. 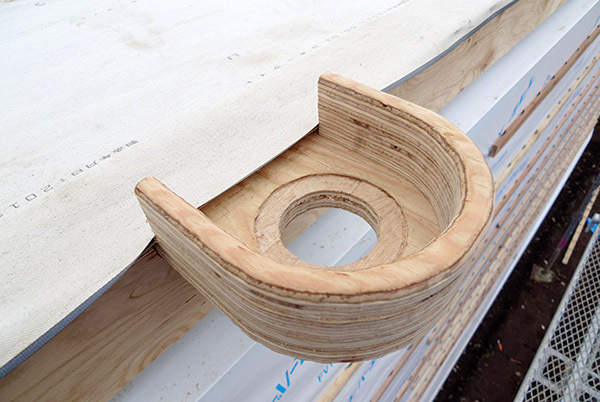 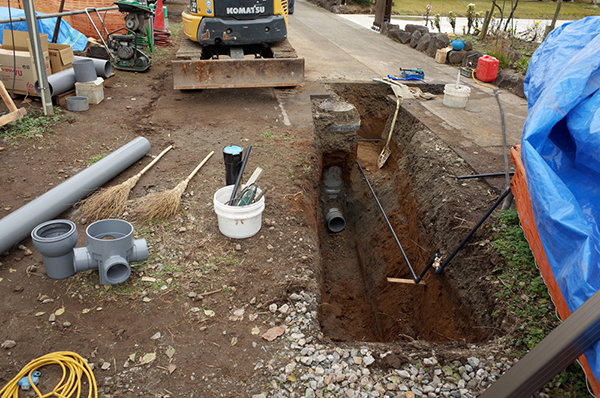 Also the carpenter had made the special detail for the roof drain. 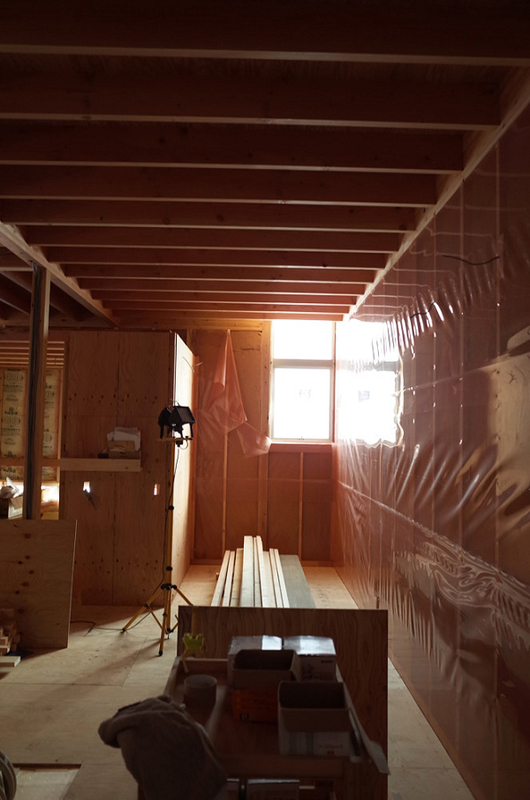 © Frank la Rivière, Architects All Rights Reserved.